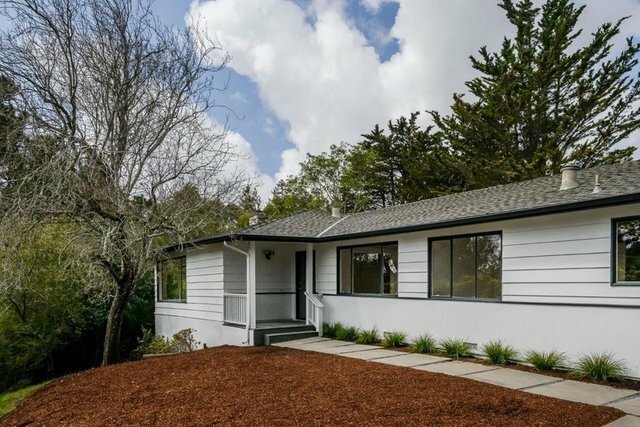 Fabulous, one-level mid century ranch features a versatile and open floor plan perfect for indoor or outdoor entertaining and enjoying the California lifestyle. The modern and open layout with natural light streaming in through the abundant windows with views of lush greenery, includes 5 spacious bedrooms and 3 full baths and one half bath including a master suite with a sizable walk in closet. In addition to the spacious living room pictured, an eat-in kitchen opens to a family room with fireplace and sliding doors out to a paved patio area. With a generous .57 acre lot located on a small cul de sac of only 4 homes surrounded by mature landscaping, the possibilities are endless. Some TLC is required but this property is a blank slate to improve, expand or completely reimagine.